As election races heat up both nationally and locally PLEA has received inquiries from the media and it’s members regarding our endorsement of Joe Arpaio for Maricopa County Sheriff. 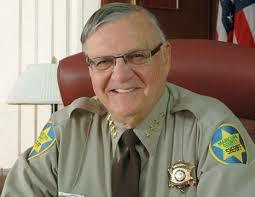 The PLEA Board made a conscious decision several months ago to endorse Sheriff Arpaio for another term. In order to quell questions from the media, a press release was sent out on October 13th to reaffirm our endorsement along with some explanation. PLEA does not give endorsements strictly based on party affiliation. Our endorsement is given based on who has a proven track record of working with and supporting rank and file cops as well those who have stated their intentions to work with rank and file cops on issues of importance to them. It is important to note that the Arizona Police Association (APA), of which PLEA is a member, has also endorsed Sheriff Arpaio. The APA represents the political interests of over 12,000 rank and file cops from around the state to include members of the US Border Patrol as well as the MCSO Deputies Association and Detention Officers Association.